Product Description: This rare second flush tea from Sandakphu is hand-picked from select tea bushes with high chlorophyll content and valuable antioxidants. One leaf and a bud are plucked and are immediately placed in a withering truck in the fields with a supply of cold air. After one hour, the leaves go through a one-minute de-enzyme process, which halts the oxidation. The leaves are put into a roller, then a shaper, producing the beautiful half-moon pearls. During steeping, they unfurl to their lovely full leaves, creating a pale green, mild infusion. 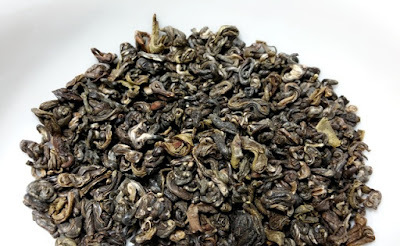 This is a fresh-tasting tea with sweet grassy and vegetal aromas and flavor. The dry leaves have an aroma of kombu dashi (kelp stock), seasoned wood, and hay. The golden green infusion has a sweet aroma with notes of nuts, light nori (seaweed), and beans fresh off the vine. 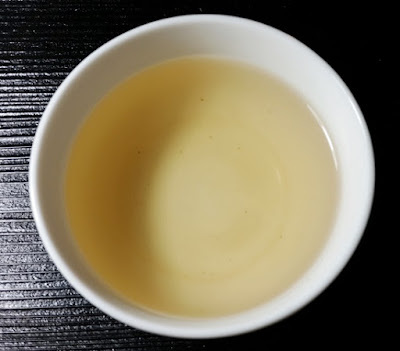 The taste is savory and broth-like (dashi) with notes of nuts and sunflower seeds. The results from a 2 minute initial steeping were ideal for my tastes, while a slightly longer 3 minute steeping produced similar notes, only bolder and with mild astringency. 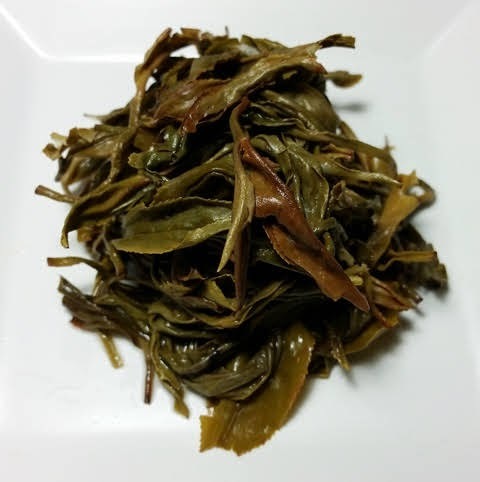 I found that reducing the steeping time of the second and third infusions to 1 minute resulted in sweet, savory, and nutty notes while steeping for 2 minutes after the first infusion resulted in heavier kombu-like (kelp) notes. The distinct marine kombu dashi notes were an unusual if pleasant surprise and left me with a craving for a bowl of hot soba noodles.